In the News: Will a ‘frozen zoo’ save the Mexican wolf? Arizona Republic – August 12, 2016 - Your Letters Are Needed! Albuquerque Journal Editorial Board – July 5, 2016 – Please send a letter to the Editor! Santa Fe New Mexican – June 28, 2016 - Your Letters to the Editor are Needed! Las Cruces Sun-News – June 7, 2016 - Your Letters to the Editor are Needed! Great Letters to the Editor from New Mexican Lobo Advocates! Grand Canyon News – May 3, 2016 - Your Letters Are Needed! Op-Ed: Valdez: Biggest danger? Wolf or politician? Editorial: Our View: Will the wolf survive? Santa Fe New Mexican 4/23/16. Letters Needed! Albuquerque Journal, 4/19/16. Letters to the Editor Needed! Editorial: Lost Lobos - Could the Mexican wolf survive in southern Colorado? Special Event: Drink a Beer for Our Lobos! Defenders of Wildlife, 2/18/16. Please act today. Join the pack today and help save the lobo! 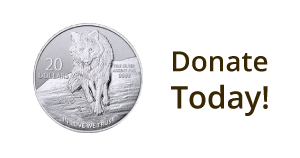 Help Mexican wolves by making a donation! Santa Fe Reporter, 1/20/16. Letters Needed! The Arizona Republic, 1/14/16 – Your Letters to the Editor are Needed! Fourth Annual Pup Naming Contest for Kids - Help Give Mexican Wolf Pups Names! Grand Junction Daily Sentinel, 1/7/16. Letters needed! In the News: A Turning Point: Will It Be Wolves Or Wells? Action: Tell the Colorado Parks and Wildlife Commission to protect wolves! Wolf supporters needed at January 13 rally and meeting to stop anti-wolf resolution. 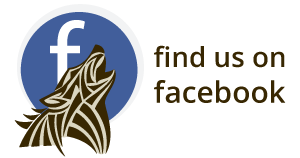 Action: Rally for Wolves in Santa Fe - January 14, 2016! Action: Join Press Conference for Wolves in Phoenix Jan. 14, 2016!